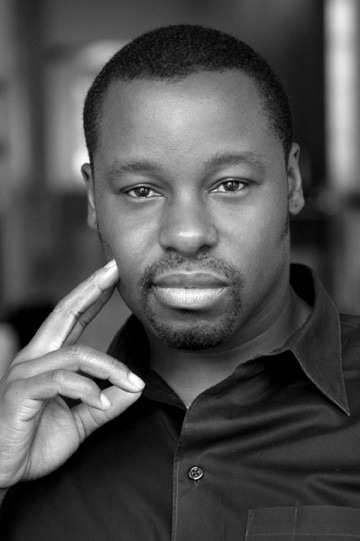 Ted Gibson is one of the most sought-after celebrity hairstylists in the beauty business today. His multi-faceted career as a fashion, runway, editorial and celebrity stylist continues to take him around the world where he finds great beauty in exploring different cultures. Previously exclusive to just A-list celebrity clientele such as Angelina Jolie, Renee Zellweger, Keira Knightly and Anne Hathaway; Ted took the time to chat with me and Emily Sandberg about his petition to get recognition for hairstylists at The Academy Awards, his craft and what he wants you to understand about the man behind the brand. How has your definition of success defined you? I have created a level of success that I’m comfortable with now and I am working towards more success in an effort to accomplish some of the goals I’ve laid out for myself in changing the industry. The Academy Awards recognize achievements in makeup and costume, but not hair styling. How do you feel about this oversight and what would you like to see done about this? It’s surprising to me that there isn’t a ballot for hair. It feels like hairdressers aren’t valuable. Social media is a way to reach a lot of people, for instance, it helped Betty White get on Saturday Night Live, and I’m still figuring it out how to use social media to raise awareness about this oversight and hopefully bring about a change. I know hairdressers have raised this issue in the past and brought it to light but nothing has happened yet. I’m putting a petition together to continue the effort to bring awareness to the Academy that it’s not OK that there isn’t a category for hair. There have been so many iconic hair styles that came to light through the medium of film, I’d like to see that celebrated and recognized. At what stage was branding incorporated into your development and how do you further plan to develop the Ted Gibson brand? I’ve always considered my work as the means for building my brand. Part of that is staying true to who I am and true to the industry I work in. Now that you have your own salons, product lines and television shows, what other personal goals would you like to achieve? The brand of Ted Gibson is not a household name yet. I’m opening new salons, one of which is being opened soon in Ft. Lauderdale, FL. I plan on opening beauty schools to provide a level of service that is not available for many people like it is for celebrities. My brand is about attainable luxury. Although my haircut is one of the most expensive in the world at $950, I’m on What Not to Wear helping everyday people look their best. It’s a touching moment to watch people who consider luxury out of their reach see that it is indeed attainable with the right information and tools. I feel like I was put on this earth to inspire and create something special to inspire the next generation of hairdressers to think outside the box. I want to raise the level of the profession period. What message do you want your clients, both current and prospective, to understand about you? I think what is unique about the brand is that at my salons you have the affordable opportunity to get great hair and the service is five star. When you come to Ted Gibson you get obtainable luxury, something that is lacking with the divide of the wealthy and middle class widening. 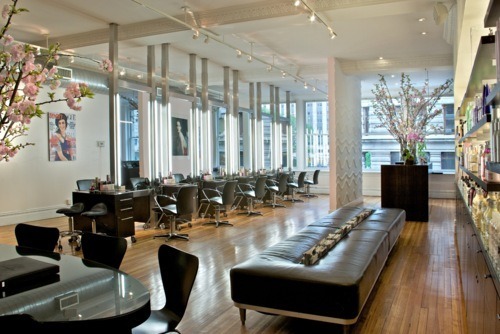 I created the space in the salons to be like the culture of New York city. You can be standing on the corner in New York listening to four different languages at the same time; standing next to a white person or a black person or a celebrity or dude and it’s very diverse. It’s not intimidating when you come into the space, it’s very inviting, and you know you’re going to get great service and a personalized hair cut; that’s what is different about the Ted Gibson brand. People think it’s uptown and if you come into the salon you’ll be in a snooty atmosphere but it’s not that at all. How has social media informed the way you conduct business? I call social media free marketing. What it can provide for a brand or even an individual is the ability to reach people that wouldn’t otherwise know anything about you and get closer to people that already are aware who you are and what you represent. I do all my own tweets and Facebook updates. You work in a collaborative art form. How do you manage, prioritize and validate all the relationships you juggle in a day in the life? I feel like I was put on this earth to do this and I don’t treat anyone any different than I would treat someone like Angelina Jolie. It’s the same response regardless of if you are a celebrity or not, and I am who I am regardless of who you are. You have achieved and maintained relationships with celebrities, fashion houses and regular clients while remaining accessible and not diluting your image. What principals have you applied that have created this rare combination of image and personality? It’s worked for me because I’m in charge of my image and I’m so hands on. As well, I maintain an attitude of service. For one, I know that as a celebrity hairdresser it’s important to continue work on new actresses and models, helping them find their best image. I keep myself fresh that way and it’s been the key. As a hairdresser my main role the past ten years has been working with celebrities and when I got the celebrity to a certain place then that relationship was over to make room for a new girl. But I still maintain the relationships I invested in in the beginning and that effort has sustained my growth. My gift is to help women discover who they are and help them focus their image. Every girl I’ve worked with has been an enduring relationship. Do you feel that celebrity has hijacked the creative industry? I did not want to be a starving artist. There’s nothing worse than being a starving artist. Finding the balance between art and commerce is very important to me. The whole idea about celebrity when I started in the business about 10 years ago was different. Models were still on the covers of magazines. When they were on the covers it was dynamic but grew to a point where it was no longer interesting because we didn’t know who they were. I think that’s partially why it went to celebrities. People related to their stories, where they came from, what movie they were doing and there was so much more to it than being simply a model. We thought it wouldn’t last and models would come back on covers and here we are 10 years later and celebrities are still on covers. I miss my girls though. The audience clearly loves you. Why did you want to do the show What Not To Wear and why do you feel the women responded to you so favorably? I give the same treatment to everyone. It’s the same banter and philosophy. Every woman, famous or not, has insecurities and doesn’t necessarily like their hair and if I can help a woman discover how beautiful she is and how great she can feel about herself, I’ve done my job. The medium I work in is hair and importantly, can transform the way a woman feels about herself in an instant. My publicist asked me to go into an audition for the show and I was surprised and unsure but I went. I remembered Vidal Sasson television and how everything changed for him when he became a household name. A lot of my growth has come from being on television. What Not to Wear is a great vehicle to showcase my work and myself and how effective a hairdresser can be. You can’t deny the power of television. What influence do you think growing up overseas had on your development? My dad was in the military. The constant travel helped me develop a wider palate for what beauty is and means. Moving every two years also taught me skills to easily adapt to different situations. My tagline is Beauty is Individual. You can be a size 24 or 2 and be beautiful. It’s about what I can do to help bring out a persons best self. Can you talk about the power of positive thinking and the effect it’s had on your work? I believe in the law of cause and effect. What you put out is what you receive in return. I have to know everything is for my good even when I don’t understand it. From that philosophy I’ve been able to roll with the punches. I have a morning practice whereby I mediate, write or read for 15 minutes. If I don’t have enough time I definitely meditate and read. I read from the Science of Mind by Ernest Holmes. I consider myself to be a spiritual person. Change is stressful and scary for most people. You seem to have developed productive and effective skills when dealing with change. Can you tell us about a few of them? I belonged to a church for a long time that focused on creating your own abundance. In your world you are responsible for what you create if that’s what you choose and desire. This question hits on exactly what the teaching was about a few days ago. I hadn’t been in several years and went the other day for the first time with friends. We sat through the class then had lunch. Her talk was on change and adapting to change and embracing it. Change is inevitable, it’s how you respond to it. I love that my career has taken me in many directions because I want to leave a teachable legacy so the next black kid that comes along will have it easier to create something for himself. Did you envision the life you have today when you began this journey? Yes and no. I remember when I was in barber school and said I wanted to work on celebrities. I always wanted to be famous but didn’t know what that meant. It was the late 80’s and I went through my training then moved to Austin and around the country then ended up in New York. I ran the Aveda salon for about eight months then left to enter the fashion business. The first time I met Angelina Jolie, we did the covers of Cosmopolitan and Marie Claire in London and Patrick Demarchelier shot it. I didn’t know what working with her would do for my career but that’s when it shifted. I quickly realized fame was not what I had imagined it to be. But also, because of it, I was given an opportunity to do good. What advice would you give to anyone thinking about taking a risk and doing something they love? You have to go for it. There’s nothing worse than living in regret, it’s something you just can’t do. I don’t think there’s anything I’ve failed at. There have been mistakes that I consider stepping stones as they took me to the next thing.